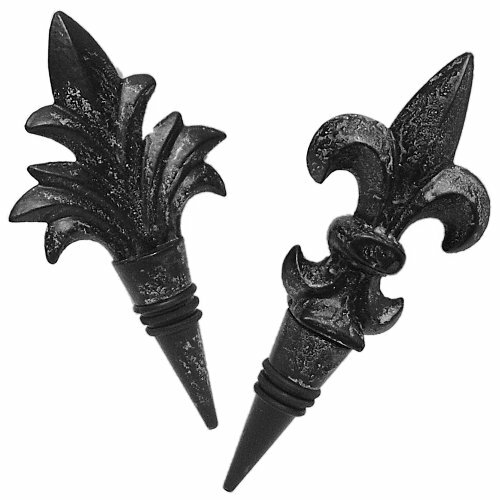 This pair of beautiful wine stoppers feature a rustic weathered look on a cast iron flor de lis and floral designs. Rubber gaskets keep the stoppers firm in your wine bottles. This is the perfect addition to your at-home bar.